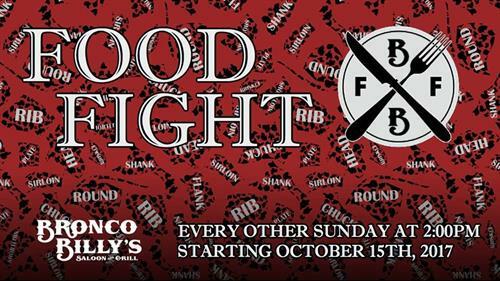 Stop in every other Sunday beginning Sunday, October 15th for Bronco Billy’s Food Fight where we’ll be raffling off meat packages. A fun and potentially delicious way to spend the afternoon with friends, some drinks, and sports on our TV’s. Remember, we’ll also have the Bloody Mary Bar set up for you from 10AM until 2PM, so make plans to get here early before the raffles starts.